Two projects, including a Kinect educational title, have been cancelled by Microsoft. "Now I can add 'casualty of the Vancouver games industry' to my list of achievements," Tweeted one former Microsoft employee, as the parent laid off some of its Vancouver satellite company's Microsoft Games Studios staff. Though Microsoft promises this does not mean closure of its Vancouver branch, two titles are confirmed dead as a result of this restructure. There will be no further development on Microsoft Flight, and an interactive Kinect TV project being developed in cooperation with Sesame Street and National Geographic is also gone. 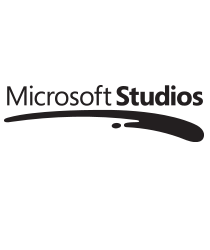 "Microsoft Studios is always evaluating its portfolio of products to determine what is best for gamers, families and the company," said Microsoft in an official statement, "and this decision was the result of the natural ebb and flow of our portfolio management." The statement also said that Microsoft Flight will still be available for free download, though no further development will take place on the title. Unconfirmed reports suggest that up to 35 Microsoft Vancouver employees were let go, though Microsoft's official statement claims that efforts are being made to find the redundant employees "new roles within the company." According to the Microsoft Vancouver official site it's actually hiring at the moment, and looking to fill five senior posts. Presumably that status will be updated shortly. Microsoft refused to confirm the number of staff affected, but instead promised that new projects were in the pipeline. This announcement follows on the heels of other recent studio restructures in Vancouver, such as Rockstar's slim-down. Sounds as though Vancouver is an unlucky place to be a videogame designer these days.